Graduation season has come and gone around here, so today I wanted to share a card I made for my coworker's niece. It's my first time using these both the image and the embossing template. The image is CC Designs Graduation Willow, which I believe is now discontinued. I tried capturing the "sheen" highlights with my blue copic markers, but I wish I had worked more on blending the color. However, I still liked how it turned out. The Darice embossing plate is one I purchased from CKC-Charlotte last year. I'm sharing this in the "I'm Impressed" Embossing Challenge going on over on the Scraps of Color blog right now, as well as the Anything Goes challenge over on Mema's Crafts. It's Lesia's very last craft challenge, as she needs to focus on other things at this time. 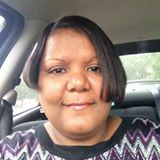 She will continue to post on her blog though, so be sure to stop by and leave Lesia some love! Speaking of stopping by, thank you for stopping by here today! Take care...And That's All She Wrote! 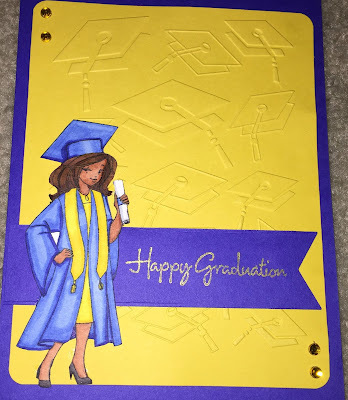 Very nice card and I like that embossing folder! Love that embossing folder. Thanks for stopping by Mema's Crafts and playing with us. We hope this will not be your last visit and good luck in the challenge. Like your card, love the color combo; I need to find that embossing folder!